Los Angeles' Premiere Carpet Cleaning Service! 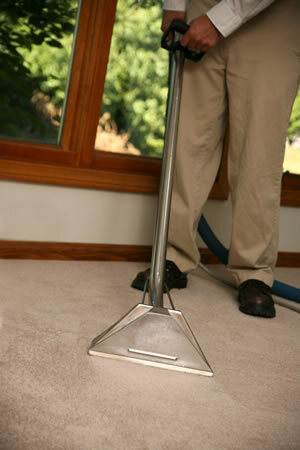 We provide exceptional carpet cleaning for Los Angeles homes and offices. You will receive outstanding value at a mid-range price. We strongly feel that delivering quality carpet cleaning results is only part of a professional service. Just as important is to deliver outstanding service in order to make the entire experience go as smoothly as possible. We understand that the little things make a big difference. We provide a friendly and helpful office staff, show up on time, and treat your home with great care and attention. All of our cleaning technicians are experienced, fully trained, and internationally certified. They are great at solving tough spot and spill challenges. They know the limits of what can be safely cleaned and what can be expected when cleaning your carpets. We fully stand behind all of our work with a complete satisfaction guarantee. In addition we provide an extended 30-day spot and spill warranty which protects you against any new accidents which may occur. We understand how valuable your time is and offer a on-time arrival guarantee. We strive to always be on time for appointments. But if for any reason, we are unable to make the scheduled arrival period, we will give you a $25 gift card for your inconvenience. Most of our customers have been with us for many years. We hope to become part of your home maintenance team. We want you to know that we are here to help you with any questions concerning spots and spills or flooring issues in general. Give us a call to answer any questions or to schedule an appointment. We look forward to helping with your cleaning needs.